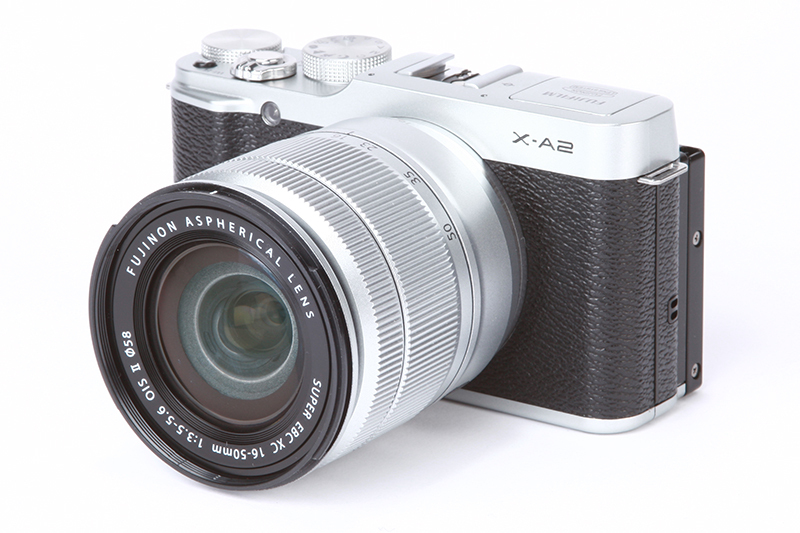 Fujifilm X-A2 Review - The X-A2 adopts classic rangefinder styling and presents some subtle improvements over the X-A1. Is this enough to make it stand out as one of the best options in a saturated entry-level market? The popularity of smartphones and their ability to take ‘selfies’ with their front-facing cameras has seen a noticeable change to the design of new camera models entering the entry-level market. Many of those making the step up from a smartphone to a more sophisticated entry-level camera demand that their next camera is capable of everything that their smartphone can do, whilst offering better image quality, more manual control, and in the case of CSCs and DSLRs, the opportunity to interchange lenses. One such way camera manufacturers have ensured that their products meet the needs of today’s entry-level user is to incorporate wireless connectivity, but more recently we’ve seen manufacturers introduce articulated screens at the rear of their products to make them more selfie-friendly. The recent release of the X-A2 into Fujifilm’s X-series CSC line up is a perfect example and though it’s closely related to its predecessor in terms of its overall specification, it sports the type of upgrades that are needed to make it appeal to today’s photographer looking for a more serious camera and also those on the lookout for a smaller model to compliment their DSLR. Intrigued to find out just how well Fujifilm’s entry-level CSC performs and how it fares against the more expensive X-series models in the range, we’ll begin by taking a closer look at what’s new and what’s changed.